c) does not have any gross income in the U.S. Note: a U.S. citizen child may be claimed as a dependent and is therefore eligible for an exemption. a. An Indian student may take an exemption of $4050 or him/herself and each eligible dependent. b. The standard deduction for a single student or for a married student filing separately is $6300. (Married students who are Tax Non-residents must normally file tax return separately (not jointly) unless the spouse is a Tax Resident). When completing the 1040NR-EZ for your 2016 tax return, enter $6300 on Line 11, and list treaty information in Question J, Page 2. If you are claiming exemptions for dependents use Form 1040NR. Note: If you claim the standard deduction, you may not deduct any itemized deductions, such as state income tax. Note: The amount allowed for exemptions & standard deduction changes each year. 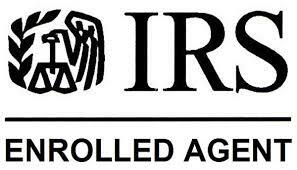 This information will be available in Form 1040 or 1040A (Resident) instructions which can be seen on the IRS website at www.irs.gov. Note: See IRS Publication 901, Page 22 for information about tax treaty provisions for students. When filling out a W-4 form, Indian students may claim exemptions for any eligible dependents. We suggest that Non-resident students from India write "NRA-INDIA" in large letters on your W-4. Do NOT file a Form 8233. IMPORTANT: The treaty benefits described above do not apply to Scholars from India. Scholars may not claim the standard deduction, and may not claim exemptions for their dependents. See IRS Publication 901 (Page 17) for information about tax treaty provisions for scholars. If you paid interest on a student loan and your income qualifies, you may be able to reduce the amount of your income subject to tax by up to $2,500. To claim the deduction, enter the allowed amount on your tax return as an adjustment to your income.